Hyderabad: An orthopaedic surgeon and the associated hospital have been directed by the District Consumer forum in Hyderabad to a compensation of around Rs 4.25 lakh to a 73 year old paediatrician in a case of medical negligence. The case is that of a pediatrician, Dr Kale,aged 73, who underwent knee replacement surgery at the Sunshine hospital under Dr Dadi. The patient was admitted on 10-07-2012 and after all preliminary investigations, underwent surgery on the same day and was discharged on 13-07-2012. Being a doctor, since he could change the dressing himself after 10 days, he left having been given necessary physiotherapy instructions and medicines. During this period, he had no complaints. On 10-08-2012, he noticed a small swelling in the “Popliteal Fossa” area. On 18-08-2012, he went for a color Doppler test at Gulbarga and a “Large Left Popliteal Pseudo Aneurysm” was detected. He informed Dr Akhil and was asked to come for a check-up. Upon examination the Doctor confirmed the diagnosis of an Aneurysm. He claims that Dr Dadi referred him to Dr.Devendra Singh, a noted Vascular Surgeon at Yashoda Hospital. Dr.Singh, advised him to undergo surgery immediately or else he may need amputation. Surgery was conducted on 24-08-2012 at Yashoda Hospital, Secunderabad. The doctor in his complaint with the consumer forum added that despite the second surgery, he has been suffering pain in the knee joint and the left knee feels warm. He added in his complaint that owing to the opposite parties negligence and failure to take minimum precautions he has had to suffer the second surgery. He submits that had the opposite parties examined the backside of his knee-post surgery and not conducted the surgery in a casual manner, he would have been spared all this trouble and the expenses. He further told the court that he issued legal notice , dated 12-12-2012 to the opposite parties, to which they replied citing irrelevant issues. He has been on medication for hypertension for many years and takes medicines to keep it in check and also is on medication to keep his cholesterol levels in check The opposite parties cited these reasons for the cause of the “Pseudo Aneurysm”.They were well aware of his health and citing these as causes for their negligence is unwarranted. He contended that he is only an occasional smoker and if at all a Atherosclerosis is detected it could have caused an Aneurysm, elsewhere and not particularly at the site of the operation, stating aging is as cause is unfair and a clear case of negligence. The orthopaedic surgeon and the hospital in their counter stated that the patient never came for the review check-up after two weeks as advised. The patient was comfortable soon after surgery and was discharged 72 hours later. He was able to walk independently to the wash room and they state that the Complainant had undergone a successful operation and cannot attribute any negligence on them. The hospital and the doctor further submitted that the patient came for a check up during the 3rd week of August 2012, complaining about the swelling they explained to him that it is unrelated to the surgery. During the surgery, they claimed that the tissues at the back of the knee are not touched. It is purely vascular problem and unrelated to the surgery he underwent. They further addded that since the aneurysm was detected after the surgery, there was no need for CT Angiogram before surgery. They reiterated that there was no negligence on their part and the 2nd operation that the Complainant underwent is not connected to the knee replacement surgery. 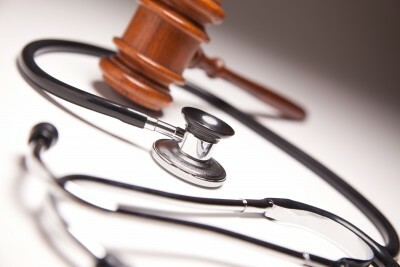 Whether there had been medical negligence by the Opposite Parties. Whether the patient is entitled for Compensation? If so to what relief. Based on this, the court stated that all necessary or standard tests should be followed before conducting the operation. Undergoing a colour Doppler test and angiogram test would have been an added precautionary measure. The possibility of peripheral vascular disease should always be considered. The limb pulses should be carefully pulsated. It is wise to consult a vascular surgeon. When these surgeries are conducted on a number of elderly patients, why is this complication overlooked and how can the surgeon , Dr Dadi state that it is not a complication connected to this knee replacement surgery. Holding Negligence, the court directed Sunshine hospital and Dr. Dadi , jointly and severally to pay Dr. Kale, the costs of the surgery conducted at Yashoda Hospital i.e. Rs 2,11,728/- and pay a compensation of Rs 2,00,000/- for the mental agony and suffering caused to him by them and also to pay Rs 10,000/- addtionally. Vascular Injury in TKR is a known complication. If the doctor has already taken tbe consent about the possible complication then it shud have been argued that it is complication of surgery than otherwise. Doesn\’t make any sense at all.. If we do all investigation for all patients means they never accept for surgery and every one are not even affordable for that..even though if we do additional investigation just to exclude other problem pretty sure patient will rise so many questions..even if we explain them they will doubt us and they will go for court like this..like doctor doing unnecessary investigation just to add more money for their pockets.. Better clear this …what exactly you people are expecting us.. Very poor decision. We can do angiography preoperatively of all the hypertensive patients. Now all protocols should be sent to judiciary for their approval.